KnowledgeHut is offering certified scrum developer training in New York for those enthusiasts who want to build a strong career in scrum development. 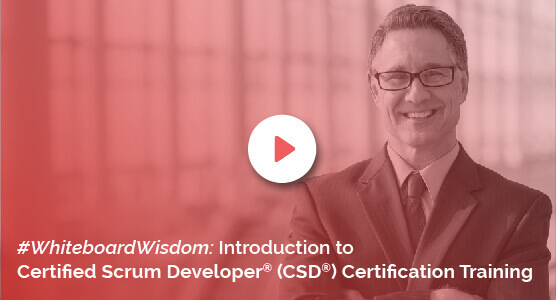 The CSD certification in New York is given to those who have demonstrated through formal training and a technical assessment that they have a thorough grasp of Scrum principles. The CSD training in New York is ensured to give the candidates an edge over the others. The CSD course in New York Fee includes Scrum Alliance Certification Examination Fee. The theory sessions of the certified scrum developer training in New York offer actual design and code samples; while the hands-on sessions and exercises will help you grasp the knowledge in a clear and practical way. The CSD courses in New York are led by a group of experts who have vast experience in the field of agile management. The CSD training in New York includes both online and offline classes. Certified scrum developer certification courses in New York mainly aimed at developing skills that distinguish yourself from other developers by showing keen knowledge of Agile engineering skills.